Whether it’s the altitude, the crystal-clear water or the beauty of the surrounding landscape, there’s something extraordinary about the sparkling lakes in Switzerland. Nestled in the country’s four major river basins are hundreds of postcard-perfect lakes waiting to be explored. Switzerland’s excellent transportation system makes it easy to access all but the most remote bodies of water. From swimming, fishing and water skiing to sightseeing cruises, each lake offers a unique set of fun-filled activities. 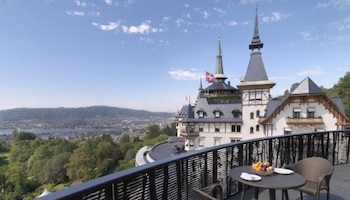 Lakeside resorts, villages and cities feature a host of cultural attractions too, including medieval castles, one-of-a-kind museums and picturesque public gardens. Wherever your travels through Switzerland take you, no visit is complete without a tour of the country’s most scenic lakes. The towering majesty of Mount Matterhorn draws tourists from all over the world to the shores of Riffelsee. The view of the Matterhorn reflected on the lake’s tranquil water is a sight to behold. 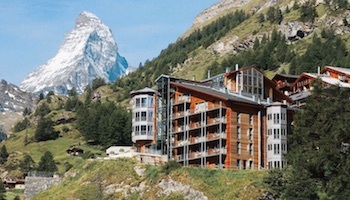 Thanks to the nearby skiing resort in the alpine village of Zermatt, Riffelsee is surprisingly easy to reach too. The Gornergrat Bahn narrow-gauge railway that serves the resort stops at the Rotenboden station, which is just a 10-minute walk away from the lake. 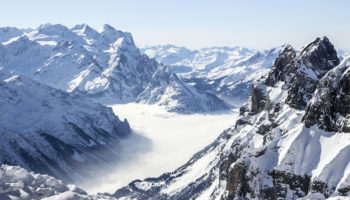 Downhill skiing, mountain climbing and hiking make the area a popular destination in every season. Sharing borders with Switzerland, Austria and Germany, Lake Constance is best known for summer fun and recreation. The third largest lake in Central Europe is a popular travel destination where opportunities for boating, hiking and water sports abound. A cycle path that runs along the perimeter of the lake offers a memorable biking experience. One of Europe’s most picturesque boat cruises begins on the Swiss side of the lake at Kreuzlingen. 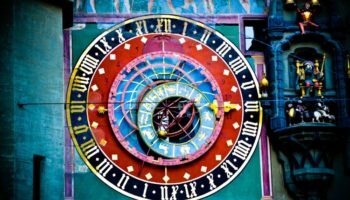 Stops along the way include the medieval towns of Stein am Rhein and Schaffhausen. Located in the Kander River valley, Blausee is a small lake that’s big on charm. Fed by subterranean springs, the lake is named after its deep blue water. Legend has it that the lake got its color from a blue-eyed maiden who died of a broken heart. The picturesque lake is situated in a lush green forest in the middle of the Blausee Nature Park. While the Blue Lake has been a popular destination for centuries, it retains a feeling of peace and solitude. Fishing, hiking and picnicking are favorite pastimes. If you simply want to unwind, a hotel on the shore of the lake features a full-service spa. With its northern section jutting into the Switzerland’s largest city, Lake Zurich is one of the easiest lakes in the country to access. Adventures on the water begin with a boat cruise that takes you past Zurich’s architectural wonders into the countryside. Glide past storybook villages to the town of Rapperswil where you can stroll along a lakeside promenade, ramble through a medieval castle and explore more than 600 varieties of roses in the public gardens. With a chapel that dates to the 7th century, the nearby island Ufenau is worth visiting too. One of the larger lakes in Switzerland, Walensee is located within the area known as “Heidiland,” the region that inspired Swiss writer Johanna Spyri’s famous Heidi stories. 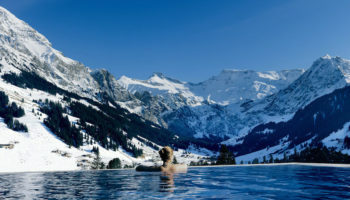 Scattered across the steep vertical cliffs framing lake are a series of quaint villages, spa towns and ski resorts. Each offers breathtaking views of the lake below. Lake Walen is a great spot for a variety of outdoor activities, from boating and hiking to downhill skiing. 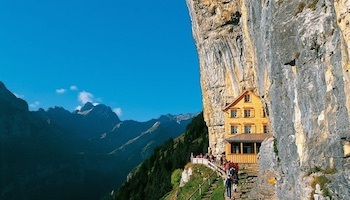 For fans of the Heidi books, a visit to the tourist attraction Heididorf in nearby Maienfeld is sure to delight. Situated above the resort village of Kandersteg, Oeschinensee is a high-altitude lake that attracts visitors in every season. 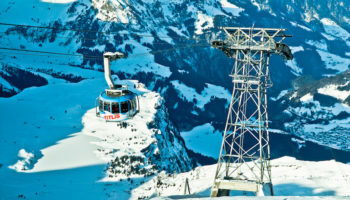 A gondola ride from Kandersteg provides easy access to the large alpine lake. Summer and winter, Lake Oeschinen boasts an array of unique experiences. In warm weather, a ride on a long slide winding through the mountainous landscape offers an adrenaline-fueled thrill. Rowboat rentals are readily available for on-the-water fun. Ice fishing, tobogganing and skating are popular pastimes when the lake freezes over, which generally occurs from December to May. One of Switzerland’s most beautiful lakes, Lake Brienz is known for its setting and spectacular turquoise-blue water. Surrounded by soaring mountains, the lake is best experienced by boat. Passenger ships have operated on Lake Brienz since 1839, providing regular service to shoreline locations, including the resort town of Interlaken. Hiking from the lake to the Geissbach Falls is another popular activity. A funicular railway takes you up the final stretch, landing you on the grounds of the historic Grand Hotel Geissbach. Straddling the border between Switzerland and Italy, Lake Lugano offers visitors a multicultural holiday experience. This large, branching lake boasts spectacular views from every angle. 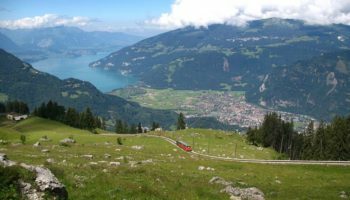 A great way to take it all in is with a ride up the rack railway from the village of Capolago to the top of Monte Generoso. From the Renaissance church in Morcote to the Hermann Hesse Museum in Montagnola, lakeside towns offer unique insights into the region’s rich history. Separated from neighboring Lake Brienz by a small sliver of land, Lake Thun offers numerous sightseeing activities, from medieval churches and castles to natural wonders. 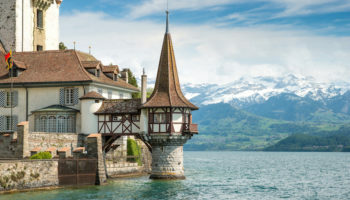 Oberhofen on the northeast shore is dominated by a 13th-century castle overhanging the lake. On the opposite side lies pretty Spiez with its own castle and Romanesque church. Near the Beatushohlen-Sundlauenen ferry terminal at the south end of the lake are the St. Beatus Caves where you can view with stalagmites, stalactites and waterfalls. The largest lake in Switzerland, Lake Geneva shares its many attractions with neighboring France. Situated at the northern side of the Alps, the crescent-shaped lake is a favorite holiday spot for the rich and famous. 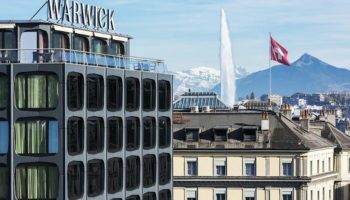 Luxury shops line the cobblestone streets of Geneva, and yachts float serenely on the lake’s waters. A scenic cruise around the lake takes you past lakeshore castles and hillside vineyards. Opportunities for outdoor activities draw visitors to Lake Geneva too. Ski resorts and mountainous hiking trails are less than an hour’s drive away from the shoreline. Switzerland’s fourth largest lake, Lake Lucerne is a study in contrasts. 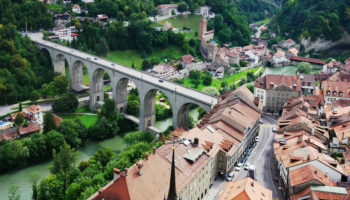 Though the winding body of water is surrounded by the Alps, the climate is generally mild. When wreathed in fog, the lake can take on a forbidding atmosphere, yet its one of the most popular travel destinations in Switzerland. Numerous hotels and resorts dot the shores. 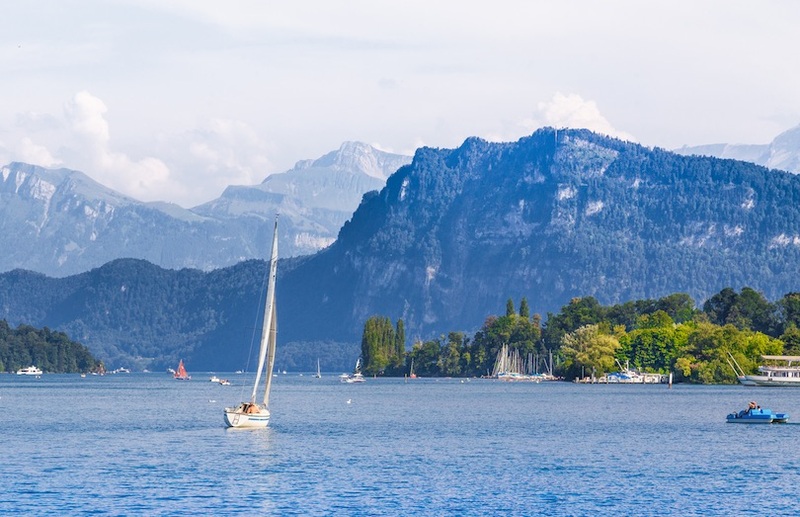 Breathtaking landscapes explain the appeal of lovely Lake Lucerne. 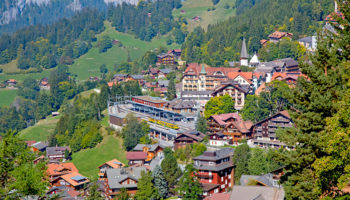 In addition to boating, hiking and cycling, popular activities include visits to the meadow of the Rutli, the legendary site of the founding of Swiss independence. There is one unmissable village lake that is downright gorgeous you may want to add. Lake Lungern in the canton of Obwalden taking its name from the village itself. I fell in love with it at first sight & so would you. Wrote a ‘starry eyed’ post on it on my blog just a week ago. I love all of the lakes. They look so amazing.